Watch out PayPal: Amazon.com continues to come after your business. This week, the online retail powerhouse unveiled “Login and Pay with Amazon,” a new program that lets you complete transactions around the web with your Amazon sign in. 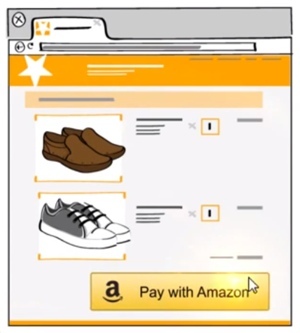 Login and Pay with Amazon works similar to the “Checkout with PayPal” buttons you may have seen on various sites. When you’re ready to complete a transaction with an online merchant that offers Login and Pay with Amazon, a simple mouse click will access your shipping address and credit card info without having to create a new site-specific account. According to the Amazon launch announcement, in-flight Internet provider Gogo will be among the first to try out the new payment system. Login and Pay with Amazon functionality is expected to arrive "towards the end of this year." For more on Amazon’s new Pay With Amazon feature, visit payments.amazon.com or check out the video below.